Gen Pasha ne kia jawab dena hai ? yeh begharata tu UAE ke araboon ke peechwarey dhola raha hai! Islamic Presidential system= AMEERUL MOMINEEN. Nawaz Sharif wanted to do the same thing but he failed. Ya siraf pak ma hi hu skta hy that other than pasha homself every one defending him...pasha khud kion nai bol rha ? Hamid mir emerge as a champion of freedom fighter for journalist after ISI DG gen Zameer did the firing incident on him! He was resilient and even name the ISI gen who was after his life! It was a miscalculation by ISI that he will flea Pakistan but this kashmiri tiger stayed and came back with more vigor and velour ! The journalist said he was pointing towards ‘ISI within ISI,’ adding that a person namely “Major Wajahat” called him during a live show and despite giving the authorities all the details nothing has been done as yet. Then ISI accepted the mistake behind doors and Gen Zameer was dishonorably let go as soon as he complete his term. 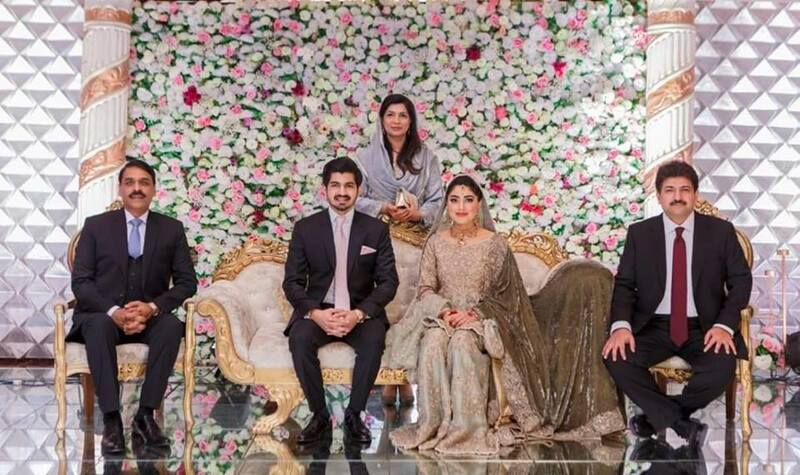 NOW Hamid is vital for ISPR for propagate any news or prapaganda ,thats why DG ISPR is best friend with him,attended his pvt family functions like wedding etc. Hamid mir has asif ghafoor on whatsapp too, so he is on call for Hamid Mir when ever he needs a news beeper, why if he is ghaddar? Above all if He is traitor then why no action against him for treason yet ? he blamed ISI for attack , is army impotent ? LoLu Kisssi ne sach he kaha hai "Banda Parha Likhaa balllaayy nah ho magar usse Jaahil Noorrraa nahi hona chahye"
Tujey apni maan pe fakhr ho ga jisey terey baap ka naam tk nhi maloom. Classic chitrol of this traitor from Pakistanis. Chu chu kartaa chuhaa khaa jaa Asif liked his tweet but forgot to mention his own father was part of Zia's majlis e shuraa. Mir jaafar has no shame at all. Hamid Mir need to be admitted in hospital for hallucinations.. he has serious mental disorders.